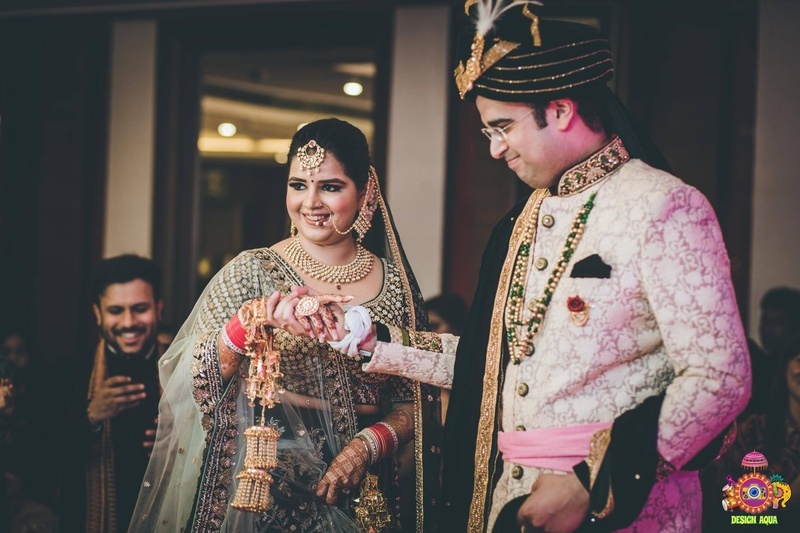 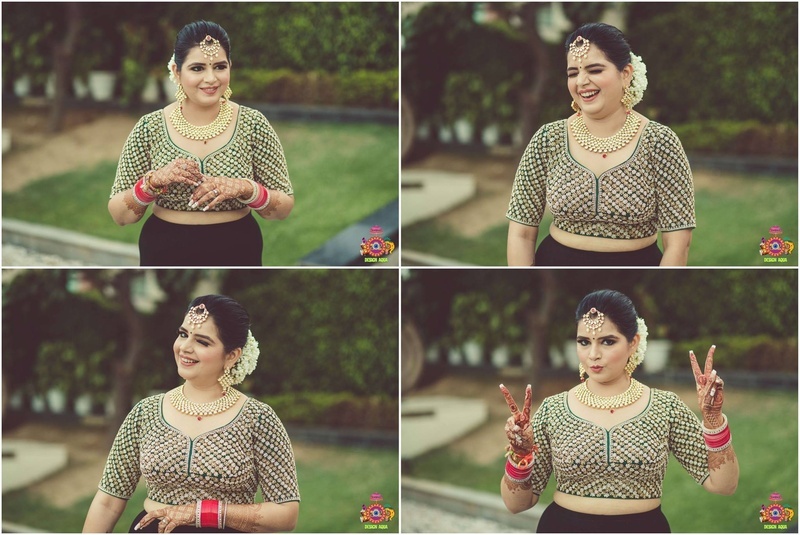 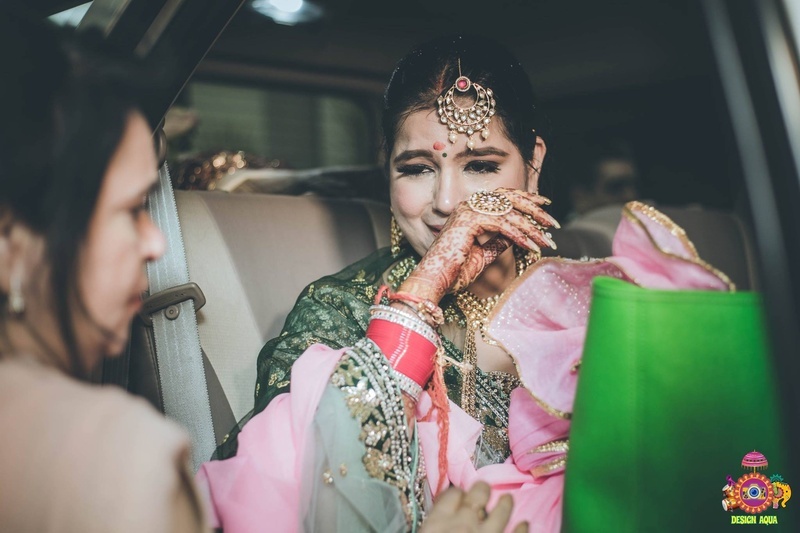 Actress Shiv Shakti's sister recently got married & her wedding photos are ruling the internet! 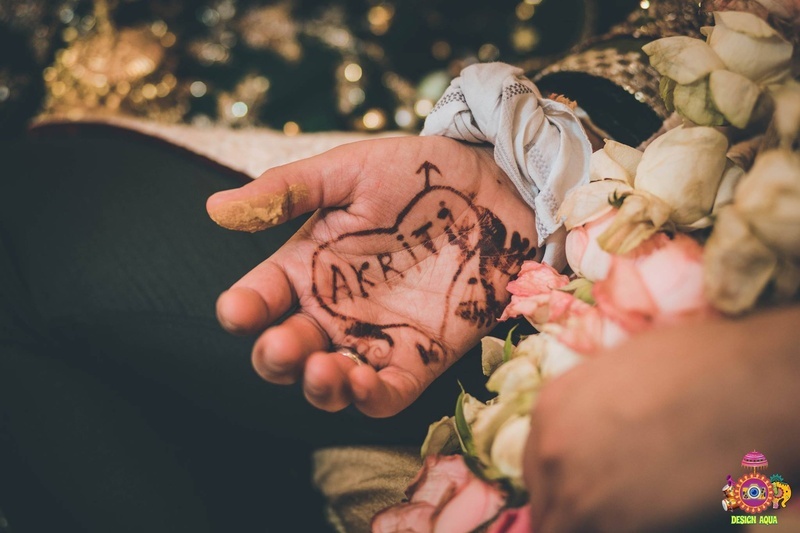 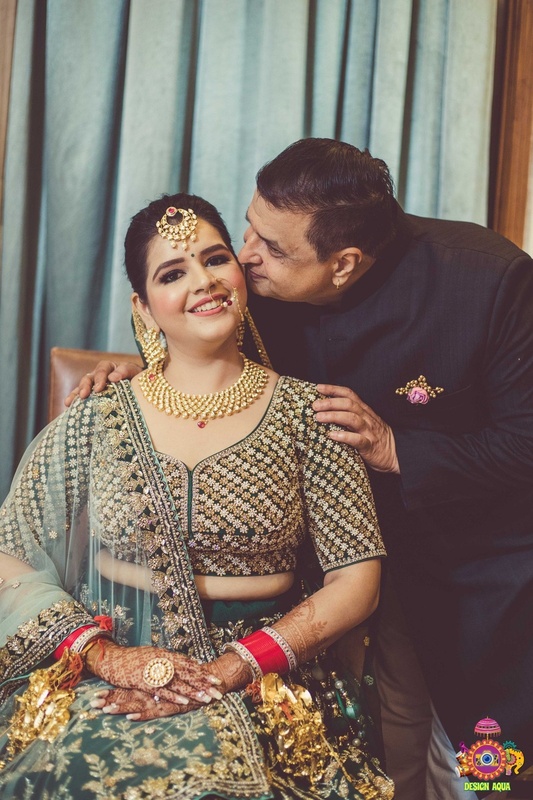 TV actress Shiv Shakti’s sister Akriti recently found the man of her dreams and got hitched in an absolutely dreamy affair in Oodles Hotel, Delhi. 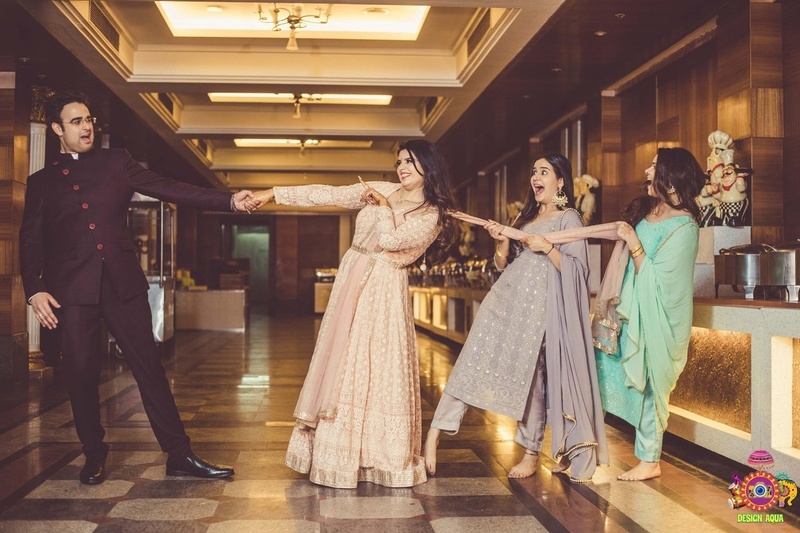 The adorable pictures of this wedding captured by Design Aqua Studio will definitely make your heart melt. 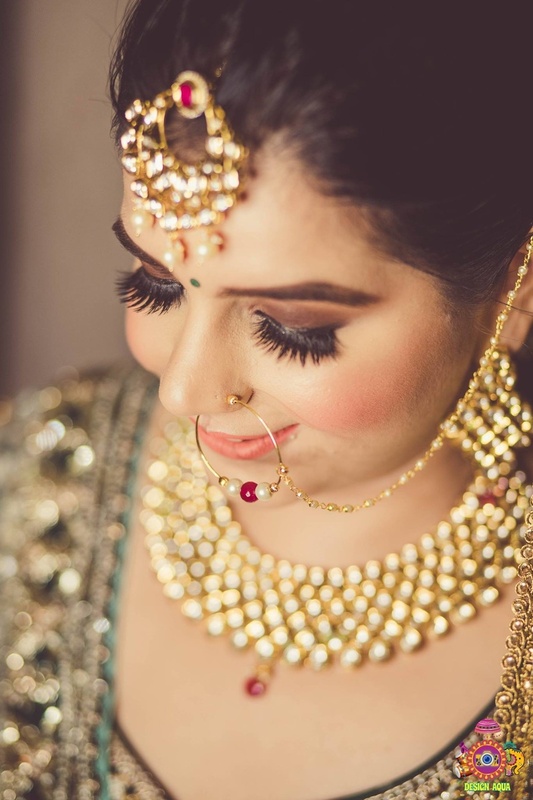 Akriti made for a gorgeous bride, who has the cutest expressions you’ll ever see! 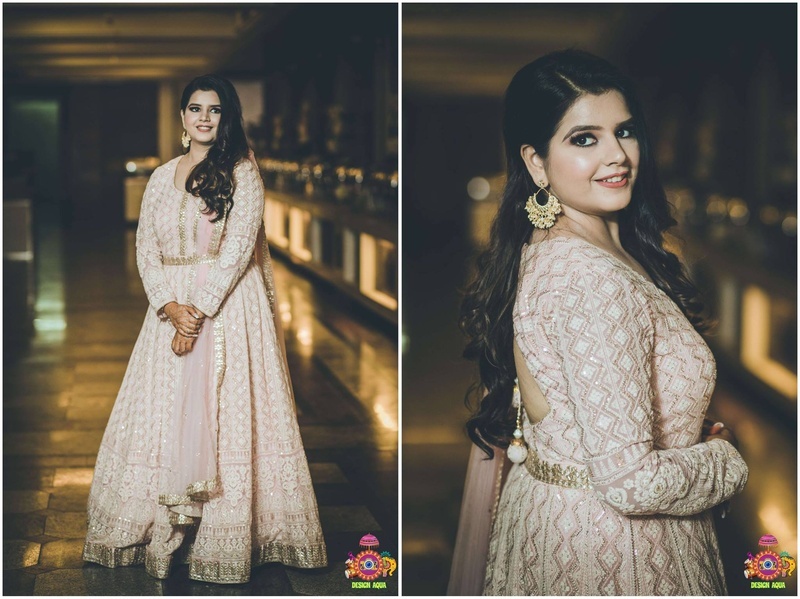 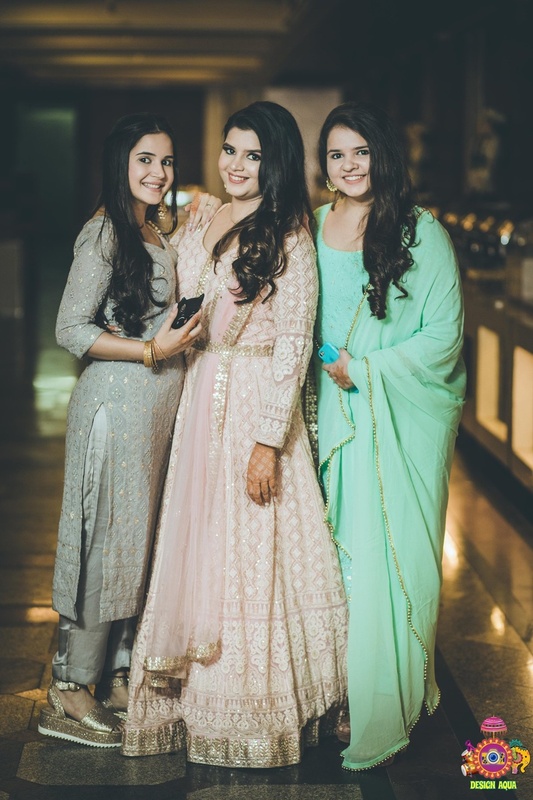 For the engagement, Akriti chose to wear a blush coloured Anarkali from Kalki Fashion and paired it with Shine with Us Always jewellery. 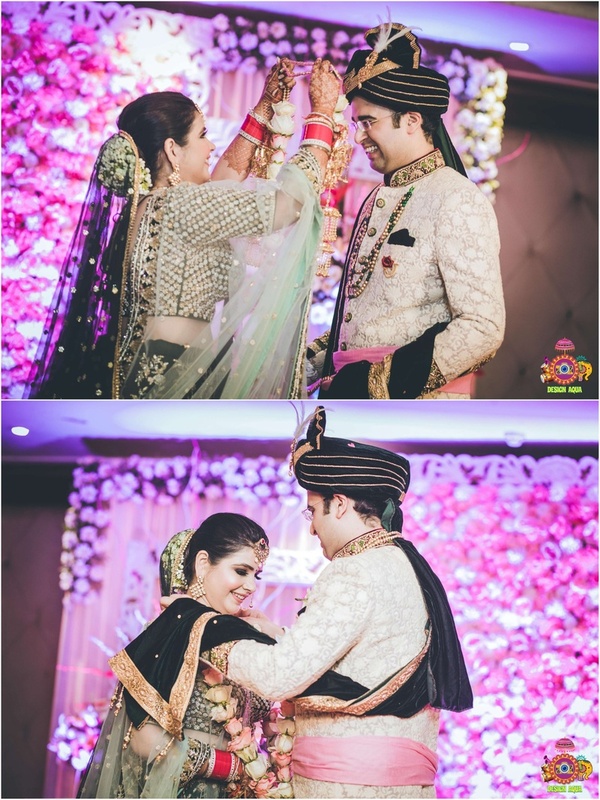 The groom looked dapper in his deep mauve Bandhgala jacket suit making the couple look amazing together! 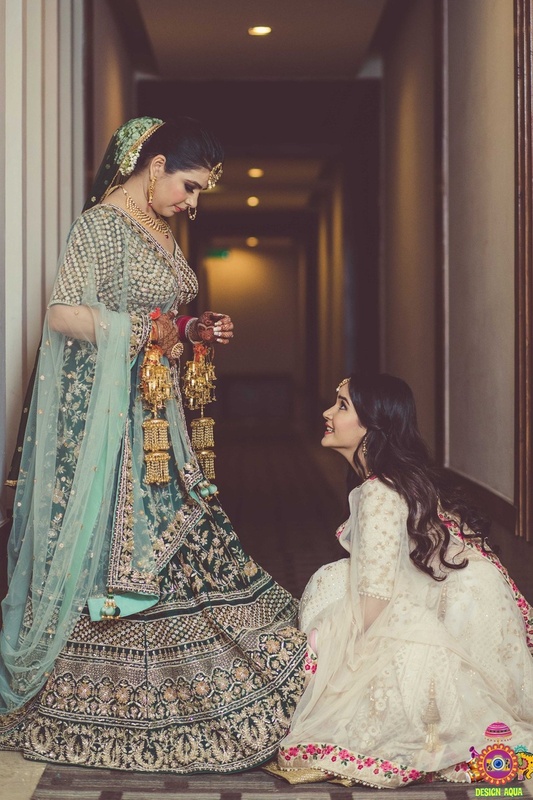 We also got some inspiration for bride and groom photography that has bridesmaids tagging along too! 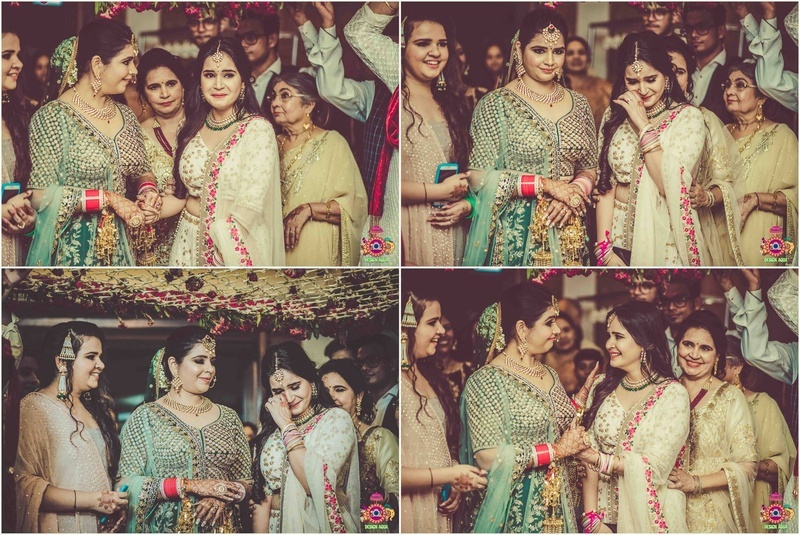 Both the bridesmaids, Shobha and Shiv Shakti left no stone unturned in giving us a bunch of clicks for the ceremony. 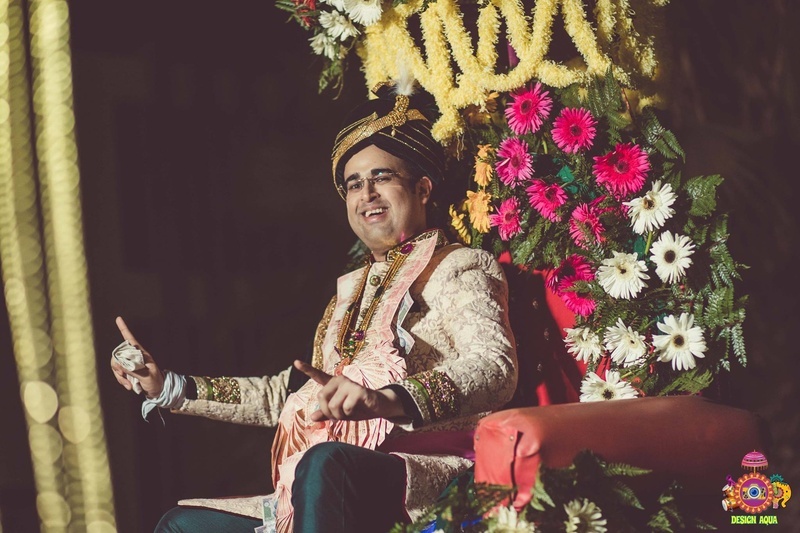 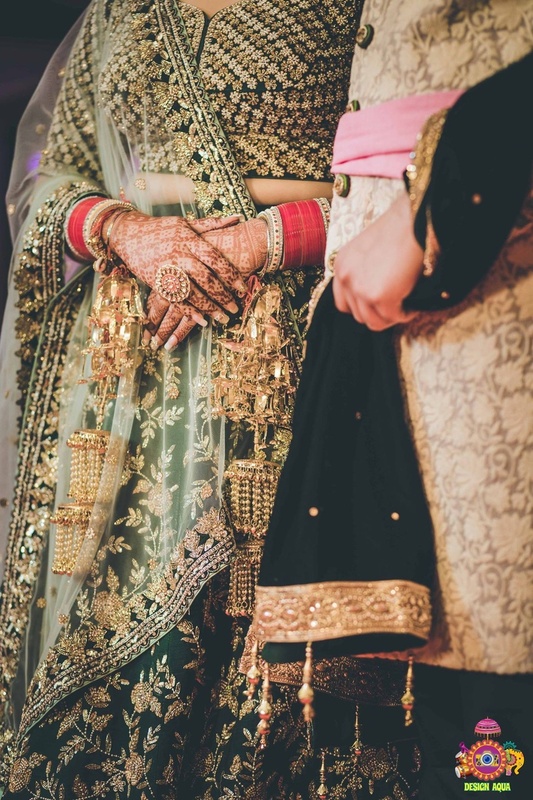 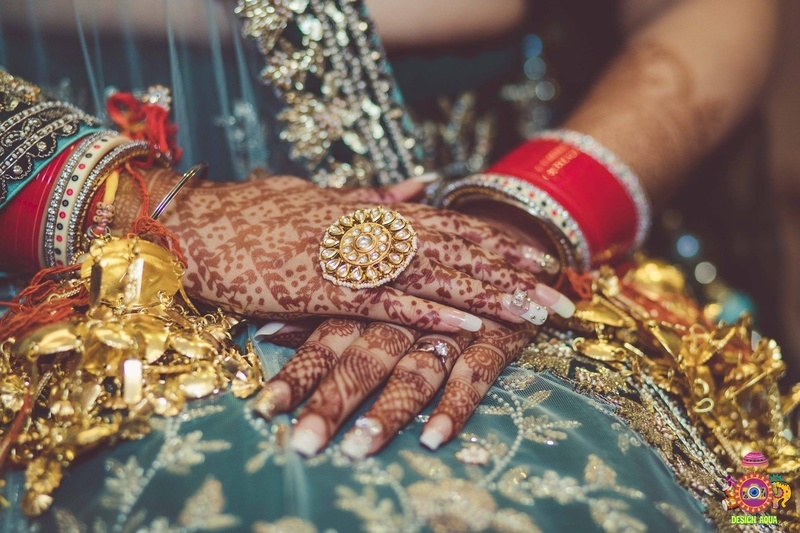 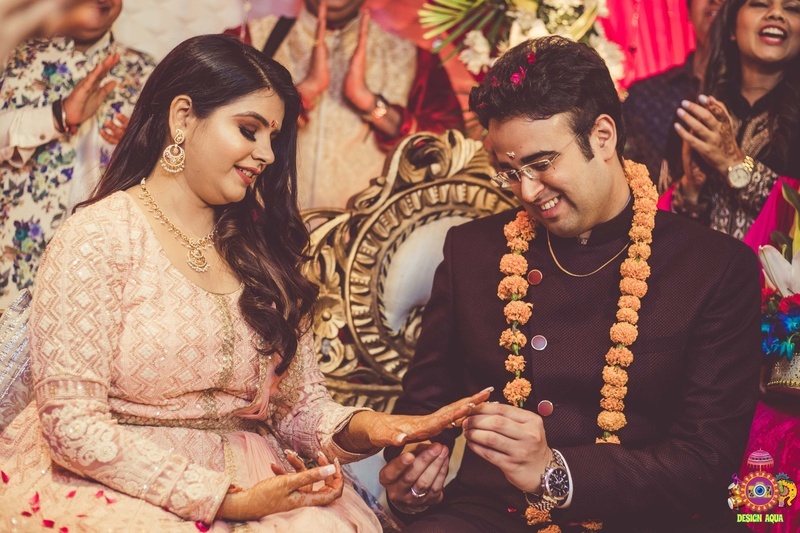 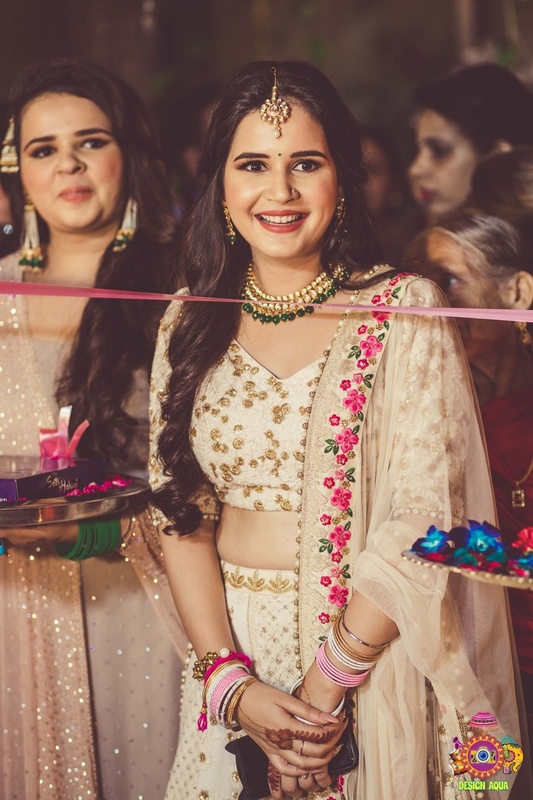 The engagement ceremony held at Oodles Hotel, Delhi made some really amazing memories! 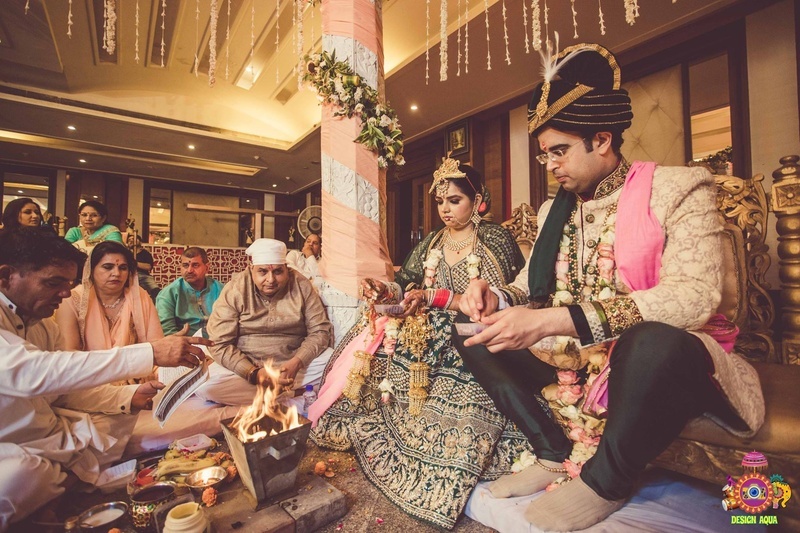 The wedding was as elegant as it could be and Oodles Hotel made sure to provide our couple with the venue of their dreams! 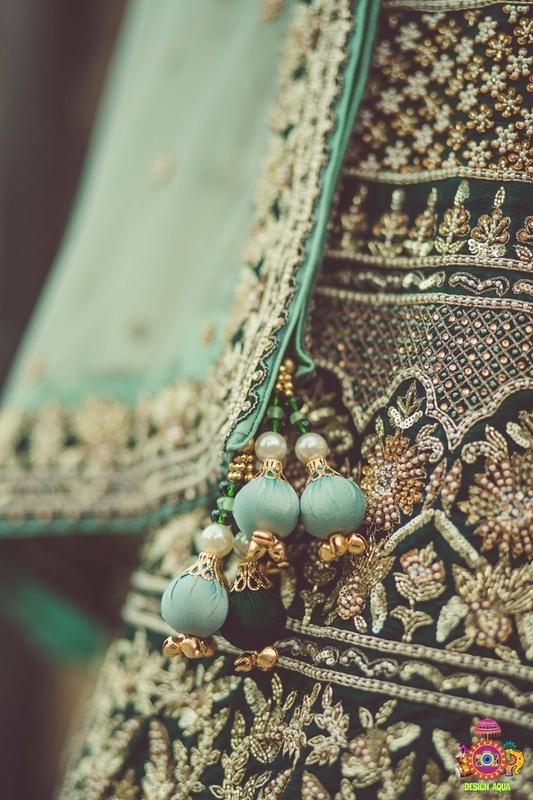 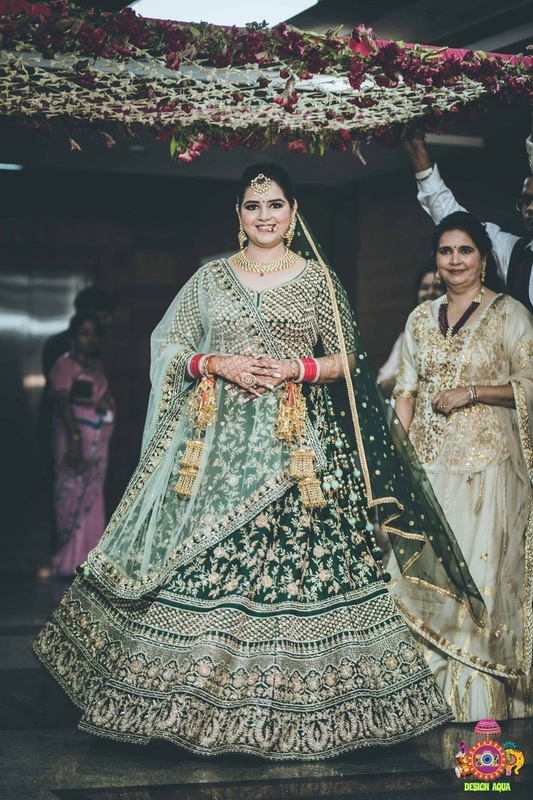 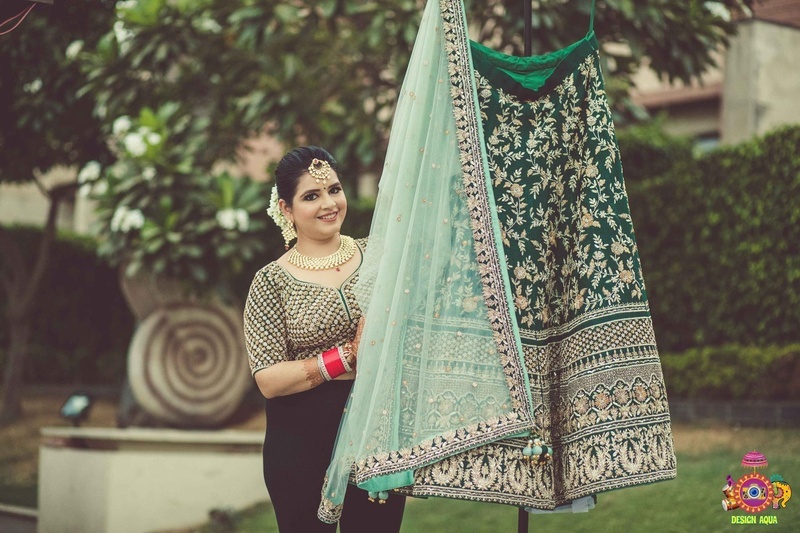 The bride, Akriti, looked ravishing in her green lehenga. 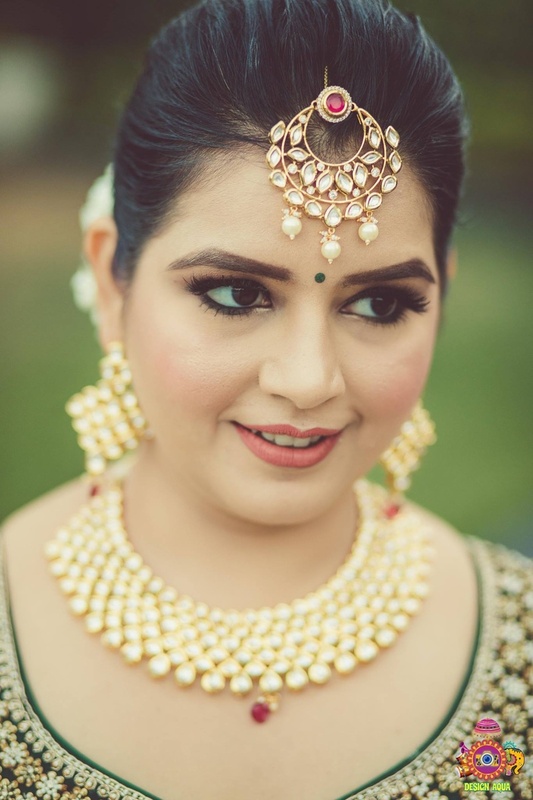 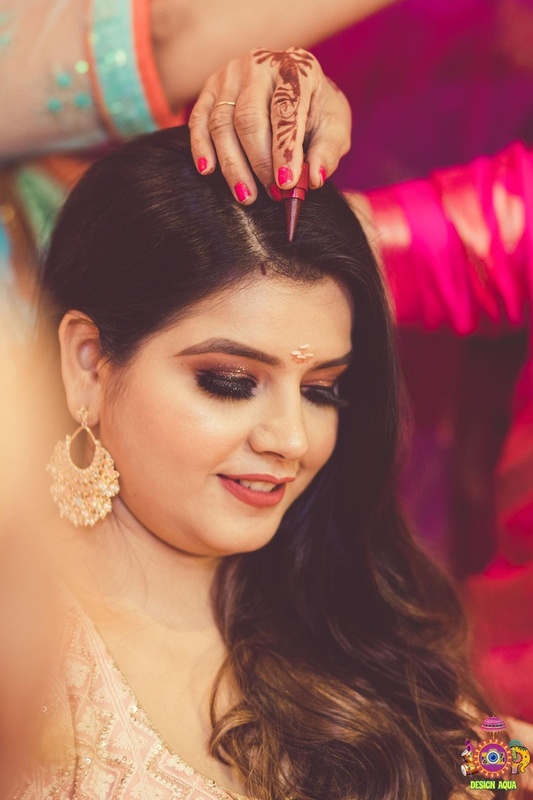 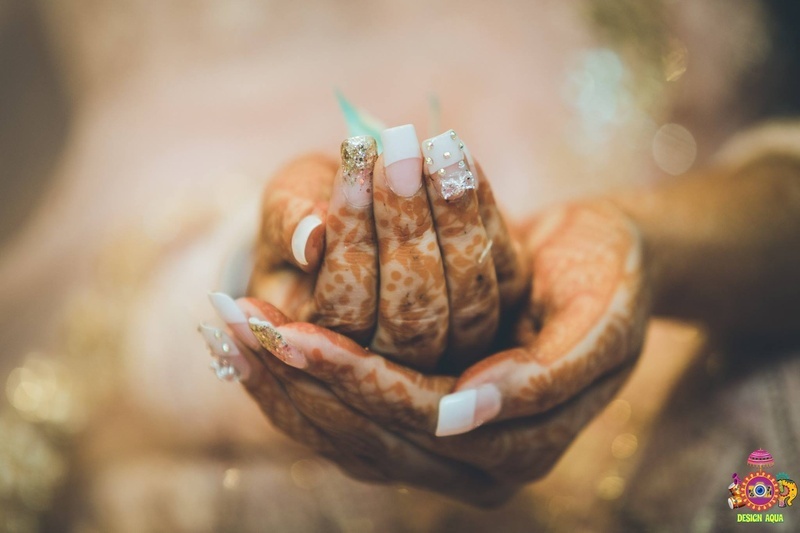 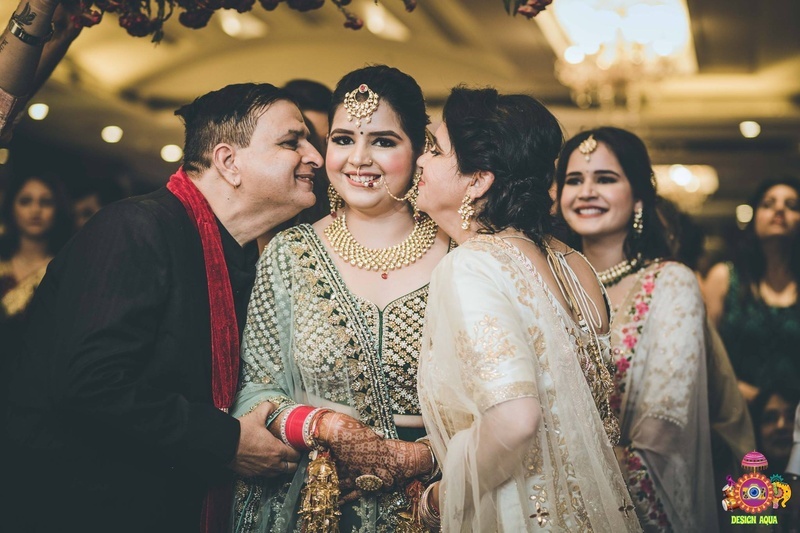 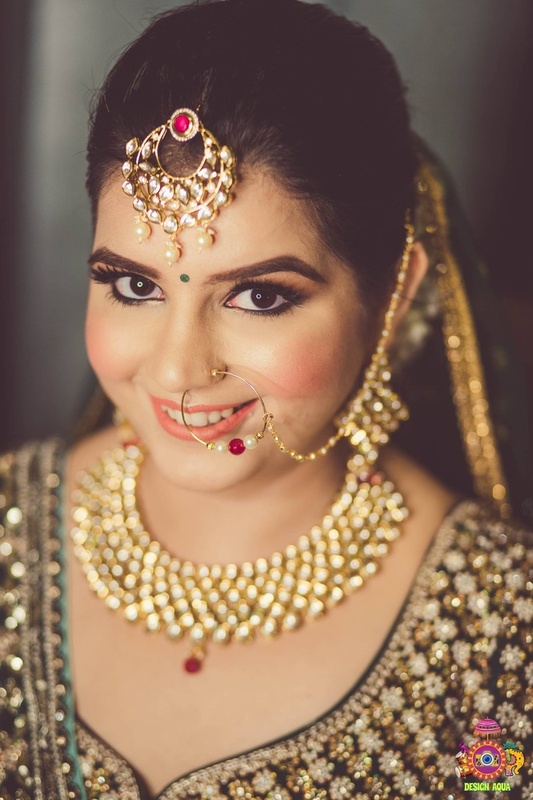 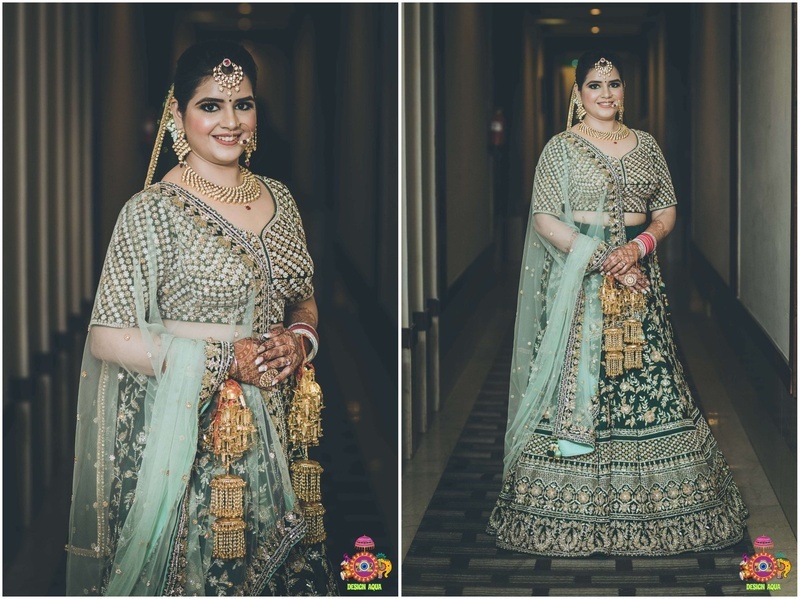 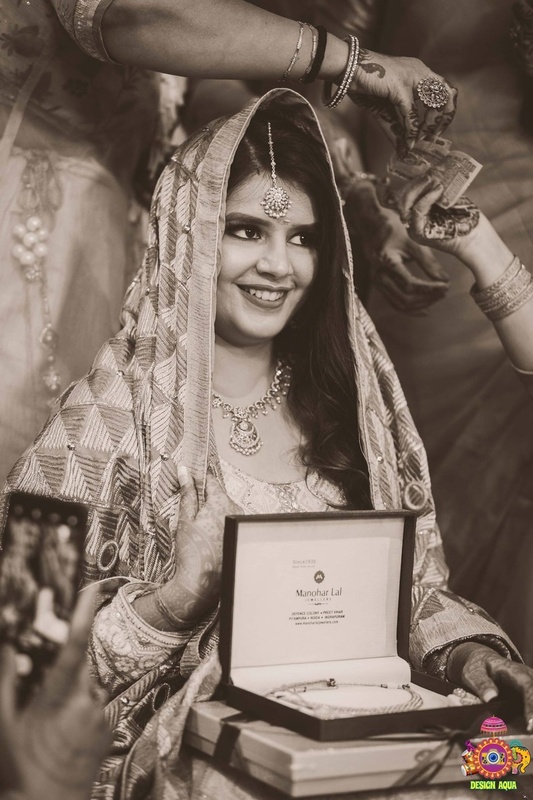 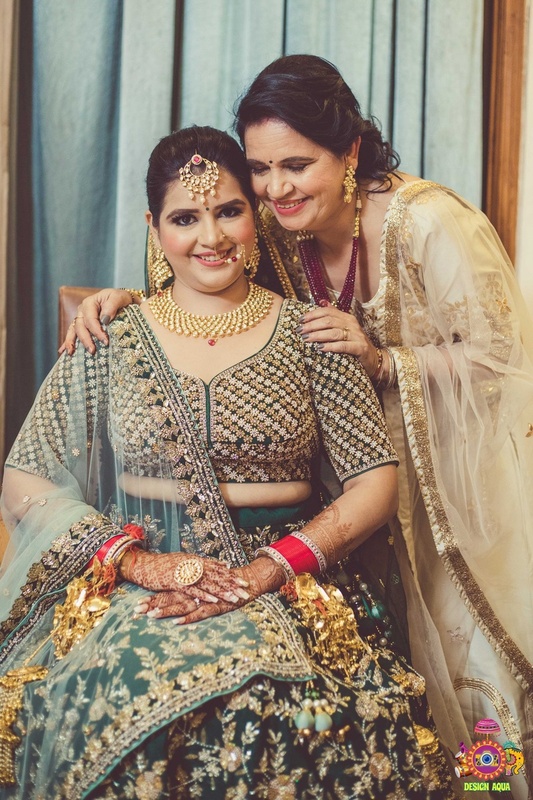 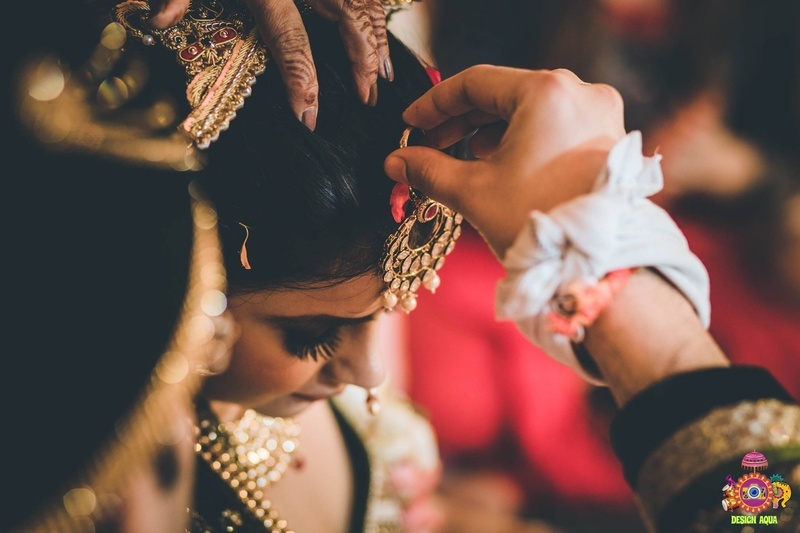 Keeping it subtle, she opted for light jewellery from Shine with Us Always and minimal makeup by Makeover by Marleen Puri and ruled hearts when she walked down the aisle. 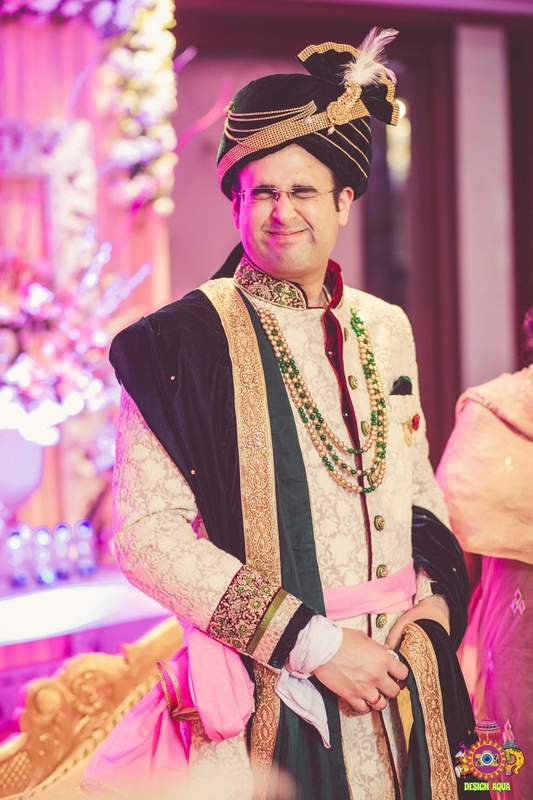 The groom kept it sophisticated with his choice of white sherwani. 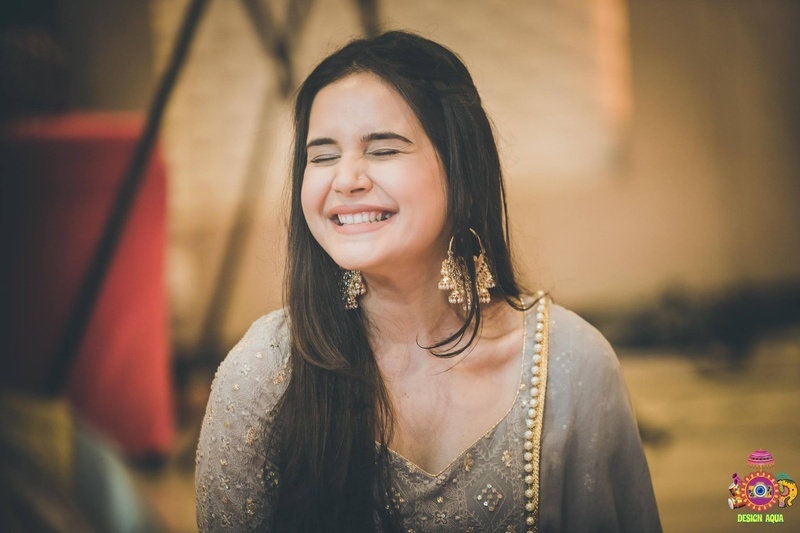 Akriti being the fun-loving person that she is, showcased some of the cutest expressions! 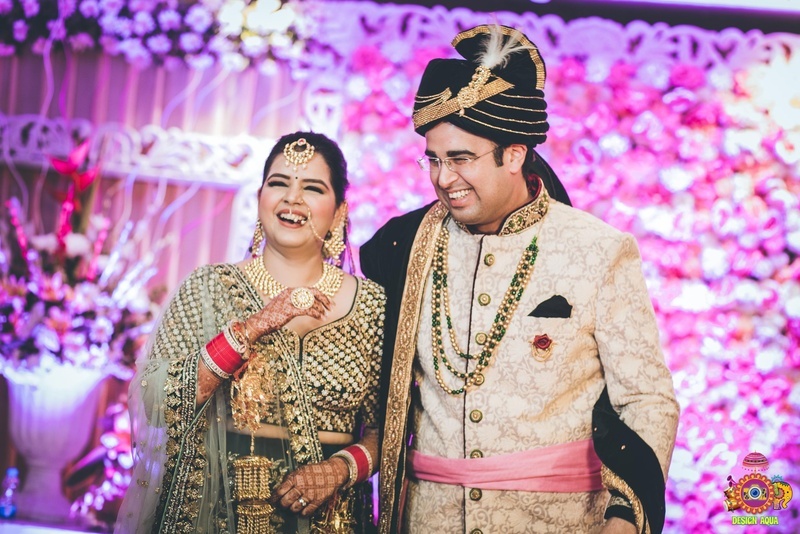 We wish this endearing couple a life full of such fun-filled moments! 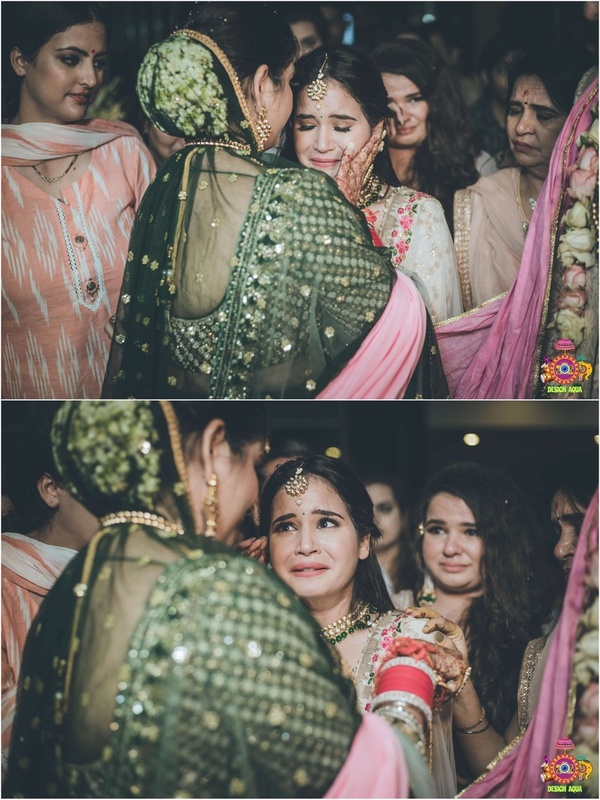 vidaai shot of the bride when its time to say goodbye!